While home decorations are fun year-round, the holidays are always extra special. Here are some ideas to help you keep your outdoor living space merry and bright. Let’s start with the most obvious. 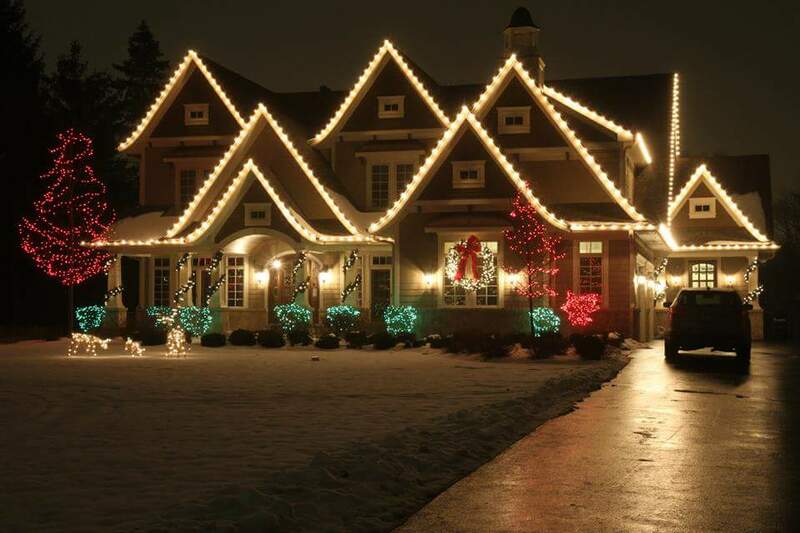 Christmas lights are a great way to add a warm glow to any space. While multi-colored strands and white are the most popular, there are plenty of options available to fit any style. If you have evergreen trees in your space, those are perfect to dress up with some lights (and some sturdy outdoor ornaments). If you only have bare deciduous trees, even better — brighten them up with these DIY lighted balls. You can also consider repurposing old wine bottles to use as candelabras. Stack them along a stairwell or arrange them as a table centerpiece. Or, string lights through wine or beer bottles or mason jars have them line the walkway from your outdoor space to the indoors. The glow is sure to make you and your family instantly feel holiday magic. Greenery is a holiday decorating mainstay, but that doesn’t mean it has to be traditional. Add large pine cones to a simple wreath of greenery for a clean, simple look that evokes a cabin in the woods. Make your own, out of styrofoam and newspaper, yarn, greenery, pine cones, or a myriad other items. Or go full glam with a glitzy ornament wreath, adorned in all that glimmers. You can add large wreaths as statement pieces to walls or doors, or string tiny wreaths from the backs of chairs or an outdoor lantern. Add some planters with mini trees or topiaries to really make a statement. Change up the pillows and blankets in your outdoor area to make them holiday appropriate. Red and black checkered flannel is a pretty and practical option to keep your outdoor area festive and cozy. Plus, you can easily incorporate that into the other aspects of your decorating theme. 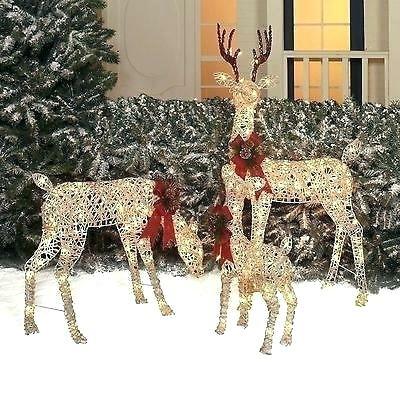 "Christmas lights are a great way to add a warm glow to any space." Dress up your outdoors space with vintage items like and old wooden sled propped up against the wall, or a little red wagon filled with holiday plants. Create stunning set pieces by using old rain boots or ice skates as planters, or sling the ice skates over the sled and add a wreath or flannel blanket for a pop of color. Grab some galvanized buckets or tubs and fill them with trees, or stacked wood to evoke a cozy, woodsy feeling. Make a tree out of old siding, or stack crates on top of each other and drape them with lights and greenery. If you have old tires, paint them to look like oversized Christmas ornaments and prop them in a corner. If you have railings or columns, it’s as simple as wrapping them in greenery, lights or a brightly colored ribbon (something outdoor proof, of course). For a more minimalist look, try wrapping them in burlap, then adding bows or lights for a pop of color. Keep the windows to your home inviting with window clings or decals. Or buy some stencils and spray-on snow, and keep them looking beautifully frosted no matter what the temperature is outside. Depending on what sort of space you have, lawn ornaments could be a nice touch. There are the traditional set pieces, like Santa Claus or Nativity scenes. You can also get inflatable items for a more fun, child-friendly feel. If you have some lawn space, consider creating your own North Pole wonderland, with fun treats like candy canes or these DIY lollipops. Or, if you’re wanting to keep things a bit more upscale, you can get beautiful statues, like this Nutcracker. No matter what you choose, the most important thing to remember is to have fun and enjoy the season. Still have questions? We’d love to help! Contact us here.